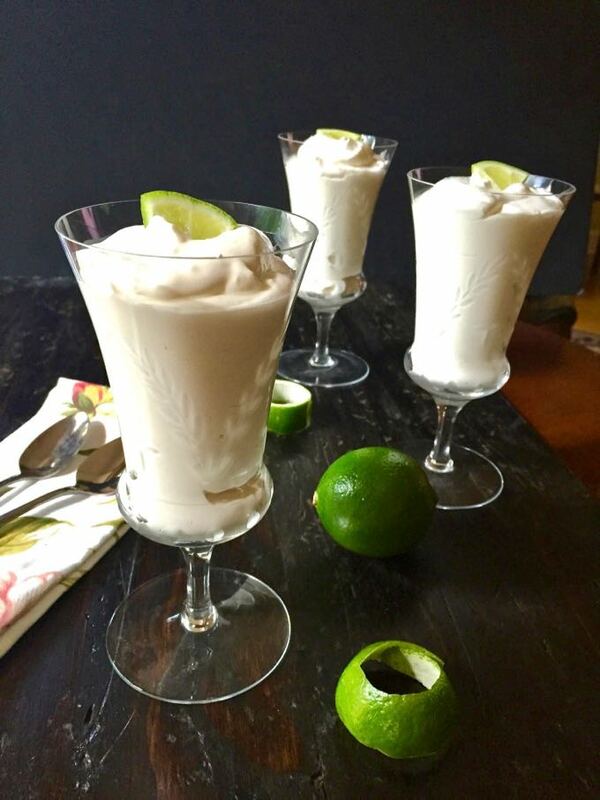 Easy Key Lime Mousse is quite possibly one of the quickest and easiest dessert recipes you will ever make and one of the most delicious too! It’s June and already hot in Florida; the last thing I want to do is heat up our kitchen by baking or eat a heavy rich dessert. 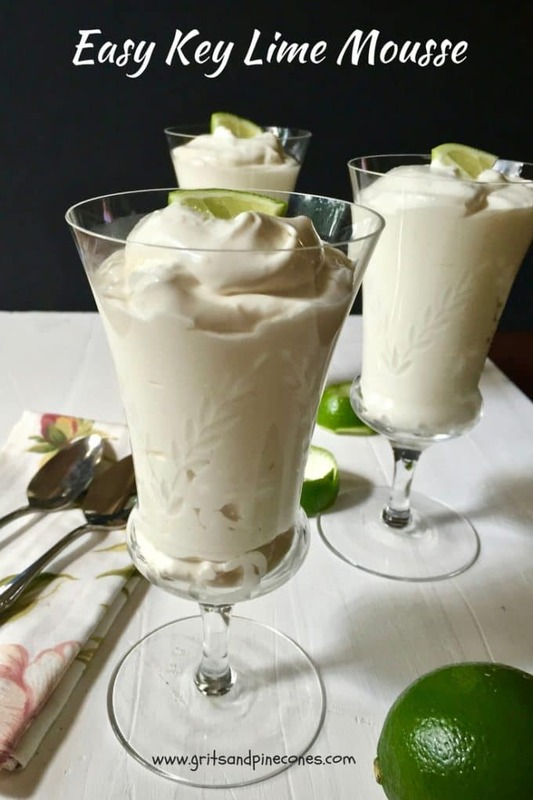 This no-bake light-as-a-cloud mousse combines cream cheese, sweetened condensed milk, frozen whipped topping and key lime juice into a dreamy delectable light dessert that you and your family will love! I made it last week and not only did we enjoy it, but I took two of the desserts to neighbors and they raved about it too! 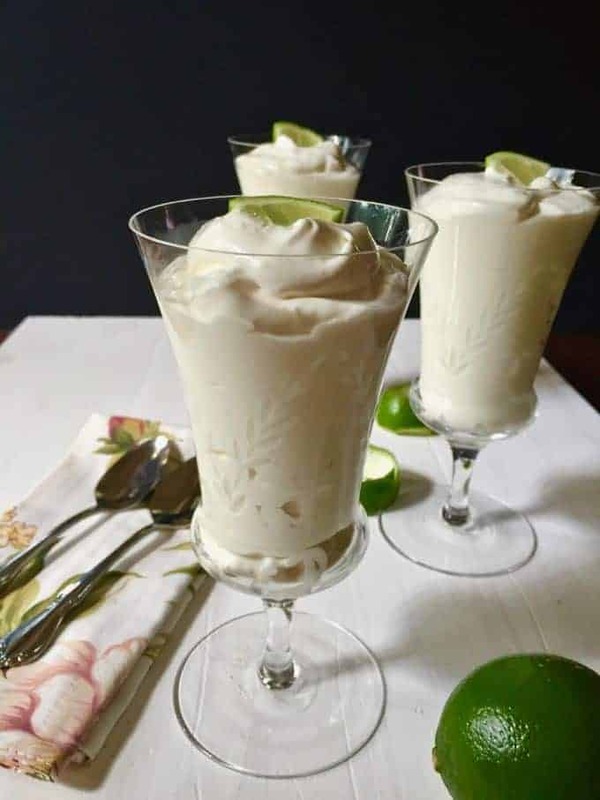 This sweet creamy Key Lime Mousse recipe is courtesy of Diane Clark, a great cook and good friend of mine who lives in Boca Raton. 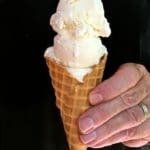 Diane and I have been friends for over 25 years and, once she found out I had this blog, she couldn’t wait to share her recipe. She said she always makes it whenever she and her husband host a dinner party and “it’s always a winner”! 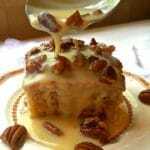 If you like easy dessert recipes, you might also like these yummy desserts: Southern Pecan Praline Cake, Easy No Cook Meyer Lemon Ice Cream, and Strawberry Trifle with Angel Food Cake. So, let’s get started making this luscious refreshing dessert! 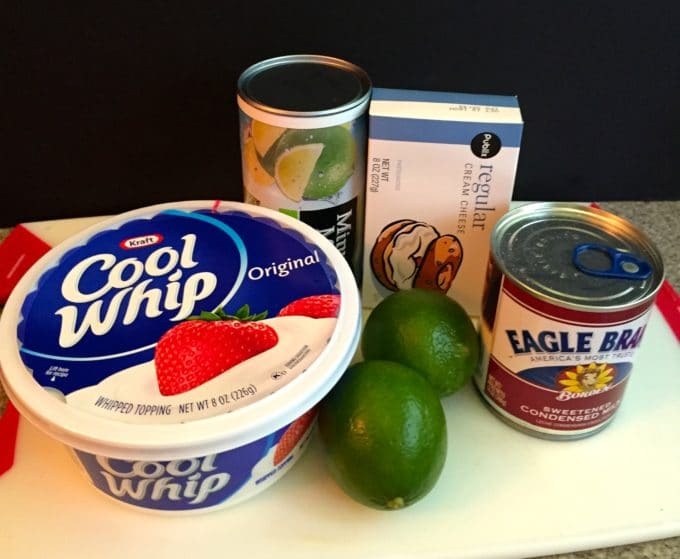 To begin, gather four simple ingredients which are: cream cheese, sweetened condensed milk, frozen whipped topping and key lime juice (see note below). In a large mixing bowl, combine the softened cream cheese, sweetened condensed milk, and thawed whipped topping and mix with your electric mixer until well combined. Add the key lime juice and mix well until the mixture is thick and smooth. 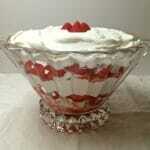 Pour into 4 individual serving bowls or parfait glasses and chill thoroughly in the refrigerator before serving. Enjoy! **For a Key Lime Mousse Pie, simply pour the mixture into a pre-made graham cracker pie crust and chill before serving. 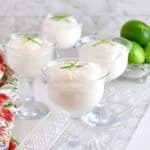 This no-bake light-as-a-cloud mousse combines cream cheese, sweetened condensed milk, frozen whipped topping and key lime juice into a dreamy delectable light dessert that you and your family will love! 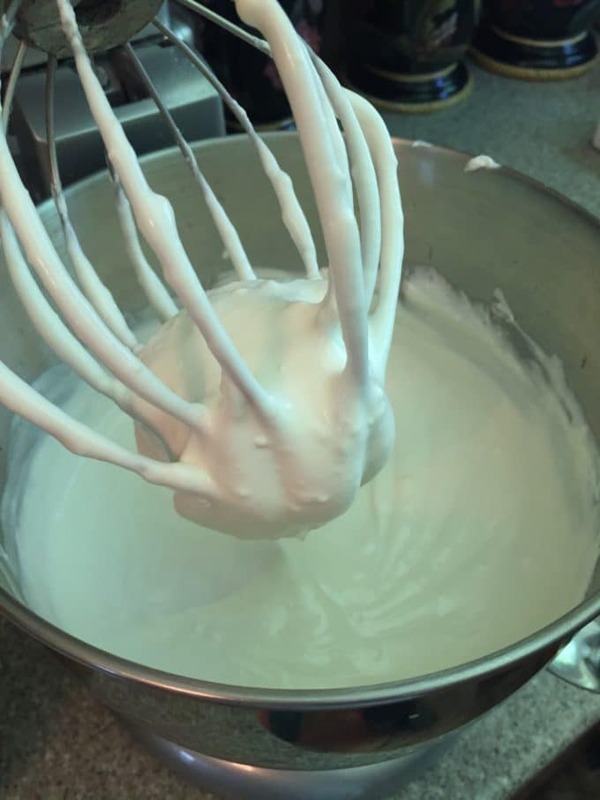 In a large mixing bowl, combine the softened cream cheese, sweetened condensed milk and thawed whipped topping and mix with your electric mixer until well combined. Sounds simply delicious! I don’t usually use Cool Whip (too many chemicals) -do you think whipped heavy cream would work as a substitute? Hey Nancy, yes, you could easily substitute homemade whipped cream and I’m sure it would be even more delicious! Great recipe Sharon. I made this for dinner guests and the gentleman said it was the best key lime mousse he had ever eaten! He ate two servings! Thanks….as always. Love staying connected to you through your great recipes! Hey Jan, so good to hear from you and I’m so glad you enjoyed the recipe. I hope you and Bennett are doing well and have the merriest of Christmases! I miss you! Let me know next time you guys are in town!